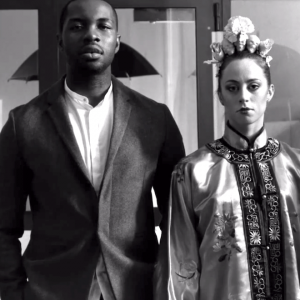 ‘Falling High’ is the first official video taken from G FrSh's highly anticipated EP ‘Alfie’. Premiered on the Hypertrak website at midnight today - the video is different to what G FrSh would usually put out. Shot in an East London undertakers, ‘Falling High’ gives off a dark and airy ambiance to the black and white visuals from the London lyricist who sets the tone for the forthcoming EP. Sonny Reeves on the hook of ‘Falling High’, brings a whole new layer of emotion on this track of pure class. Watch as G FrSh takes you on an honest journey into his world, life and growth. ‘Alfie’ is set for release late spring.